A bomb squad was deployed to the scene of a Pennsylvania construction site on Tuesday after workers unearthed a potentially dangerous find of at least twenty Civil War era cannonballs. The munitions were discovered in Lawrenceville, Pittsburgh, in a location close to the former Allegheny Arsenal - a manufacturing plant for the Union Army during the American Civil War. The factory was the site of the worst civilian disaster of the war when the arsenal exploded in 1862, killing 78 workers. Construction crews, who were working on the development of an apartment building, were aware of the location's history and were on alert for any Civil War relics, according to Pittsburgh Police. Police alerted the bomb squad to the incident as a precaution noting the unlikely but still plausible risk posed, as the cannonballs may contain gunpowder. “We believe they contain gunpowder, so they are explosive,” Sonya Toler, a spokesperson for Pittsburgh Police told CBS News Pittsburgh. 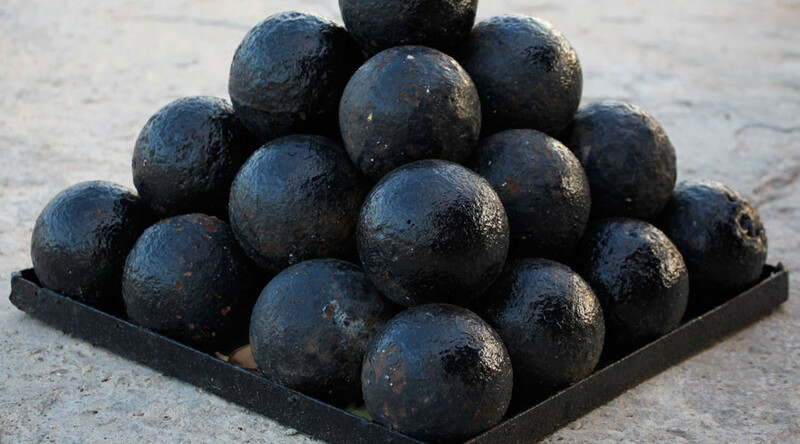 Police said they had to call in further assistance as the quantity of cannonballs was greater than what its bomb squad could handle. A specialized company will dispose of the historic weapons.